Approach the work of Slow Six from the perspective of inclusiveness as this ensemble's chamber music comprises several rarely assembled styles. Their album Private Times in Public Places (73'14") presents three extended tracks, each employing the smallest number of factors required to generate the largest number of meaningful outcomes. This underlying Minimalistic form (different layers of rhythmic activity moving at different rates) is linked to our internal metronome. The intricately designed reiterating motifs provide a subtle timing signature and, due to the ingenious interactivity between the musical pulses, a subliminal melodic content beyond the capabilities of each part on its own. But the rigidity of that lock-step structure quickly dissipates. While the discipline of the composer's intellect controls the inertia of this music, these works seem to move at their own pace and speak in their own voice. Eloquent melodic lines, not just isolated notes, are provided primarily through the touching gravity of violin, viola or cello solos. The emotional current ranges from that of a gentle lullaby to one of charged virtuosic poetry. Also present are the distinctive tones of electric guitar and Rhodes piano that play off one another throughout in wondrous interlaced unity and exemplify the interlocking logic of each piece as a whole. Slow Six transcends their influences. 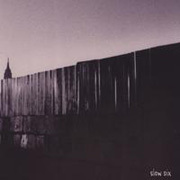 While innovative music dies from overcalculation, the music of Slow Six is liberated enough to be proudly accessible. Their album Private Times in Public Places is a complex treasure that rewards the attention it demands.